Whooping cranes numbered less than two dozen in the early 1940s. Today there are about 500 individuals, with nearly a third of that number in captivity. The recovery is due to an involved captive breeding and reintroduction program that includes training the birds to migrate using ultralight aircraft. 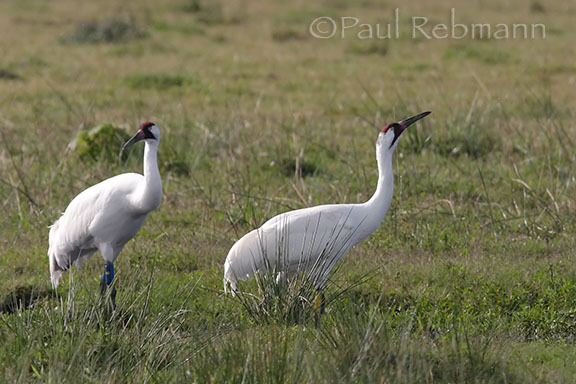 Based on historical records of whooping cranes in Florida, two reintroduction programs were undertaken. A non-migratory population was established in the Kissimmee prairie area of central Florida and a separate population that migrates between the Neceda National Wildlife Refuge in Wisconsin and the Chassahowitzka NWR in coastal west central Florida. 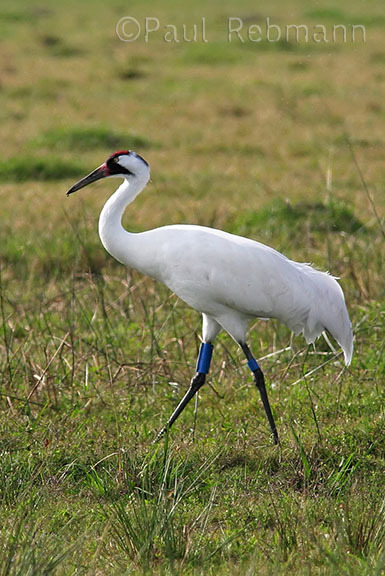 The largest population of whooping cranes migrate from north Canada to Texas. This is the tallest bird in North America with adults being mostly white, with black wingtips and red on the head. Feathers are tufted over the rump. 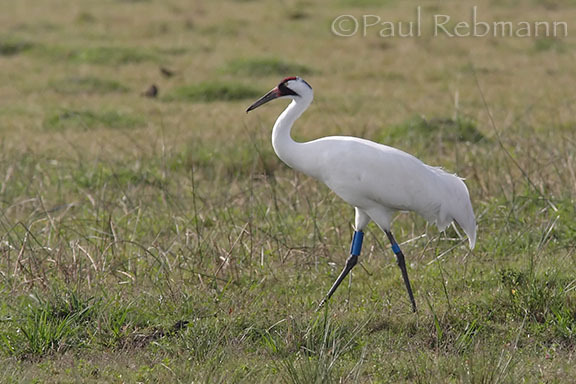 More photos of whooping cranes led on migration from Wisconsin to Florida by Operation Migration ultralights can be seen here. Grus americana is a member of the Gruidae - Cranes family.